Go For Broke! (1951) - Classic Movies on DVD. 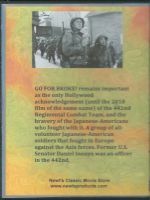 In 1943 at Camp Shelby, Mississippi, the newly commissioned Lt. Michael Grayson (Van Johnson) reports for duty to train the 442nd, a unit established on the US mainland and composed of Nisei. His expectation was to return to the U.S. 36th Infantry Division, a Texas National Guard unit, which he had served as an enlisted soldier. He has to come to terms with a group of people that he sees as Japanese, the enemy, rather than Americans. Grayson runs his platoon rather insisting on strict observance of military regulations. 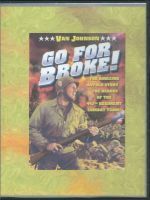 He learns that "Go for broke" is a pidgin phrase used in Hawaii meaning to gamble everything, to "shoot the works"—to risk "going broke" or bankruptcy. Grayson comes to learn the meaning of the frequently exclaimed Baka tare, which, loosely translates to mean "very stupid." There is only one brief discussion of the internment camps from which most of the men have come, but throughout the film there are references to the camps. There are also a few brief references to the distinctions between the Nisei from Hawaii ("Buta-heads") and those from the mainland ("Katonks"). While Buta-heads (the phrase later devolved to "Buddha-Heads") are a key part of the Hawaiian economy and Hawaiian society, Katonks were largely distrusted and disliked by their neighbors. Arriving in Italy, the unit is joined by the 100th Battalion, a Nisei unit formed in Hawaii before the 442nd. The troops of the 100th are seasoned veterans and the new arrivals look to them for advice. On the march to the front lines, Grayson gets left behind when fraternizing with a signorina, but he is not found by the colonel because his platoon has covered for him during an inspection of their positions. 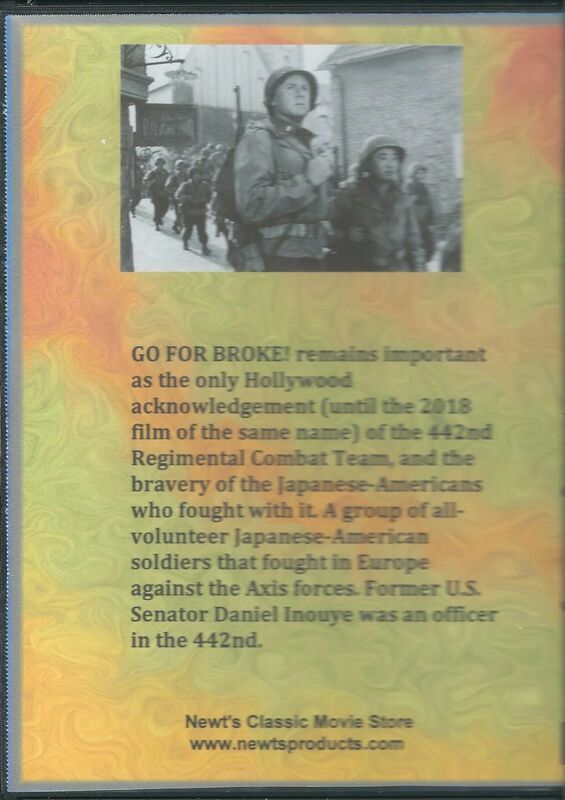 By the actions of the 442nd in Italy and France, Grayson finds reason to replace his bigotry with respect toward them. His transfer to the 36th, as a liaison—over his objections—comes through when the 442nd is attached to the 36th. As he has misjudged the Nisei, they have misjudged him. The Nisei learn that he has defended them against bigotry, even getting into a fistfight with an old friend from the 36th who had insulted them. The 36th is surrounded by the German army and the "Buddha-heads'" rescue "them". On their return home, they are awarded the distinction of the eighth Presidential Unit Citation. 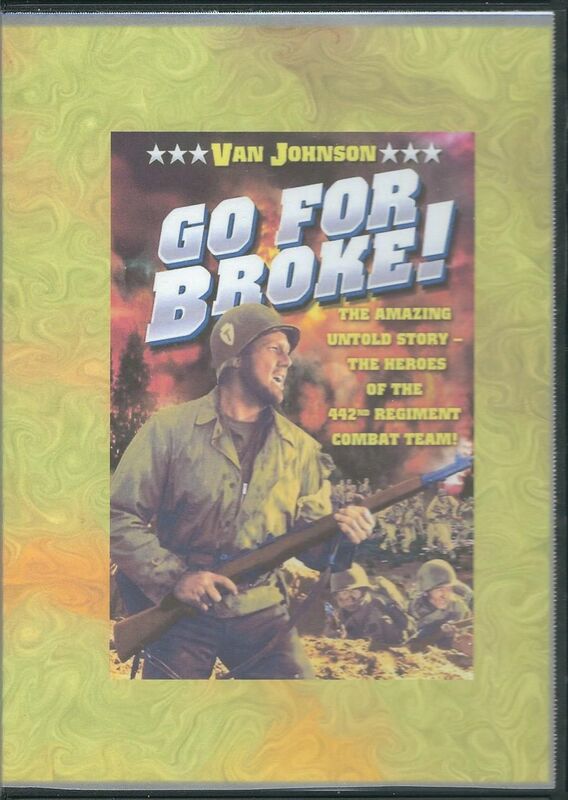 *These actors were actual veterans of the 442nd.